Beautiful 3 BR, 2 BA End Unit overlooking Pond, walking paths & parks. Open & spacious floor plan w/large windows. Big kitchen w/breakfast bar, pantry & newer stainless steel appliances. 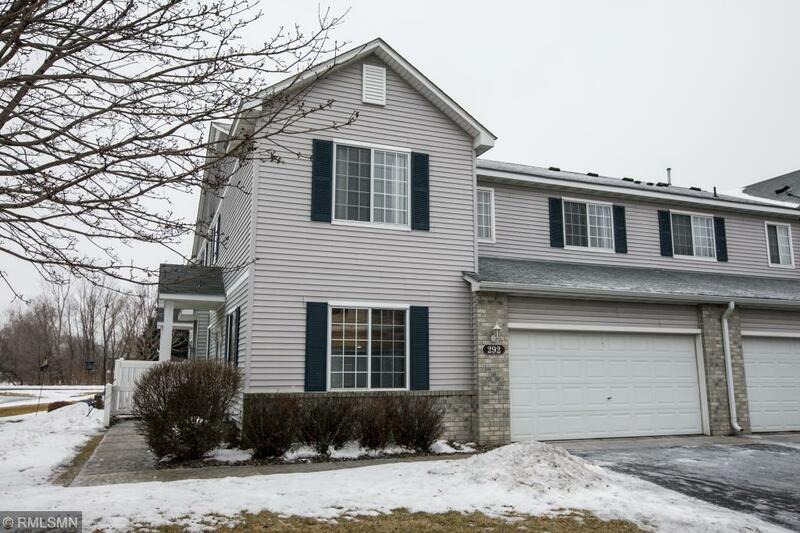 Upper level boasts big open hallways, 3 BR including huge master BR w/walk-in closet. Updated LL bathroom & extra shelving in insulated garage. Great location close to schools, restaurants & easy highway access.